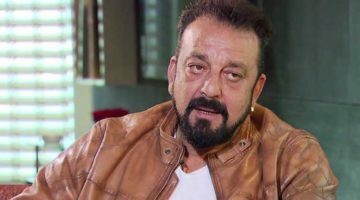 Sanjay Balraj Dutt (Hindi: संजय दत्त, born 29 July 1959) is an Indian film actor and producer known for his work in Hindi cinema (Bollywood). He was educated at The Lawrence School, Sanawar. The son of veteran Hindi film actors Sunil Dutt and Nargis Dutt, he made his acting debut in 1981 and has since appeared in more than 187 Hindi films. Although Dutt has enjoyed great success as a lead actor in genres ranging from romance to comedy, it has been the roles of gangsters, thugs and police officers in the drama and action genres that have won him much appreciation. The Indian media and audiences alike popularly refer to him as Deadly Dutt for his larger-than-life portrayals of such characters. In a film career spanning more than 37 years, Dutt has won two Filmfare Awards, two IIFA Awards, two Bollywood Movie Awards, three Screen Awards, three Stardust Awards, two Zee Cine Awards, and a Global Indian Film Award. Four of his films have won various National Film Awards. He has won most of his awards for Vaastav: The Reality, Mission Kashmir, Munna Bhai MBBS, and Lage Raho Munna Bhai. He won three Best Actor awards for Vaastav: The Reality. Dutt was arrested under the Terrorist and Disruptive Activities (Prevention) Act (TADA) in April 1993. Charges of terrorism were dropped but he was convicted of illegal possession of weapons. After serving his sentence with good behaviour and conduct, he was released on 25 February 2016. Dutt has a Biopic made on his life called Sanju.